What made you want to launch a site like metrolivingzine.com? I began to view the traditional idea of fashion as being overly reductionistic. I see fashion as encompassing far more than what we are wearing. Today, fashion can best be conceptualized as what we wear, where and what we eat, who we are sleeping with and why, what we are reading, what social issues interest us, what hobbies inspire us… the list goes on. In effect, fashion is the totality of things that motivate and inspire us. You used to work as a Fashion Anthropologist with Retail Insider. How is working at metrolivingzine.com different? You can’t compare the two. Retail Insider is the most highly respected resource in Canada to obtain the inside scoop on what is happening in the luxury retail market. By contrast, Metro Living Zine is an urban lifestyle publication that specializes in discovering experts in diverse fields ranging from Horticulture to Haute Cuisine. We will be celebrating the soft launch for our talent agency on Saturday, March 07 at the Shangri-La hotel. Come out and celebrate with us! We are working on producing a larger-scale, open talent recruiting call in late August 2015, complete with an after party to celebrate and honour everyones contribution. Quirky artist. I’m the antithesis of the quintessential tall blonde with long, centre-parted hair sporting Ray-Ban Aviators. I like conceptual designers such as Comme des Garçons, Gucci circa the Tom Ford years, Balenciaga circa Nicolas Ghesquière, Alexander Wang and of course Christopher Kane. I am a sucker for Camilla Skovgaard shoes and getting super frightened because the teeth on my highly prized Camilla Skovgaard Saw Tooth wedges I bought in 2012 are wearing down and I do not think I will be able to replace them! How would you describe Vancouver’s fashion scene? Growing! I am super proud of Jamal Abdourahman and his team at Vancouver Fashion Week for putting the Vancouver fashion scene on the international map! I am already counting down the days to Fashion Week in Vancouver March 16-22 at the Queen Elizabeth Theatre. If you have not been, you need to see it to experience it. Every season there is at least one show that brings me to tears by virtue of its utter beauty. What are your favourite trends, past or present? High heels, platforms, platforms… oh yeah… and platforms! 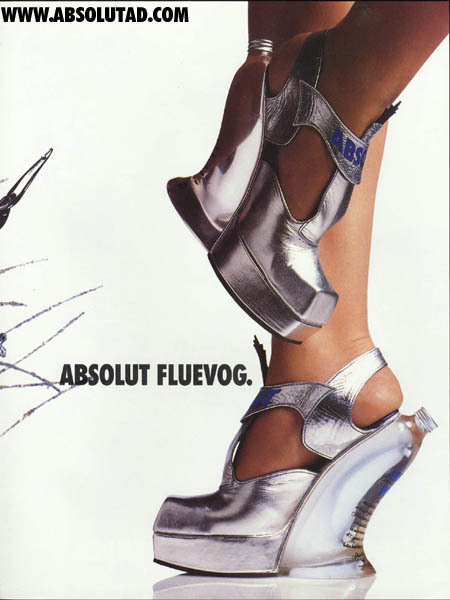 I wish John Fleuvog would reissue the Black Rubber Soled Absolute Smirnoff bootie I bought in 1993. It was absolute shoe perfection. I could have run a full marathon in those heavenly, comfortable, platform booties. I wore them to shreds and shed bitter tears when at last they fell apart. Do you predict any for the future? International reports have been pushing Culottes and high waisted flares for the past 18 months but I am not sure they will go mainstream. Consumers are afraid to purchase high-waisted flares because they require a total reconfiguration of your silhouette. In order to pull off high-waisted flares you need super high shoes. A complete silhouette overhaul is hard for the average consumer to wrap their minds around. This is why the skinny jean has reigned supreme since 2004. The business of fashion has changed. In the past, designers dictated what the trends were. Now corporate shareholders dictate trends when they look at spreadsheets that say how many units of leopard print dresses moved last season. That is where the bulk of mainstream fashion originates now. Corporate spreadsheets – not the minds of brilliant creative artists like the late Alexander McQueen. What draws you to the fashion industry? I am a quirky, creative artist. I started watching Fashion TV with Jeanie Becker when it first came out in 1985. 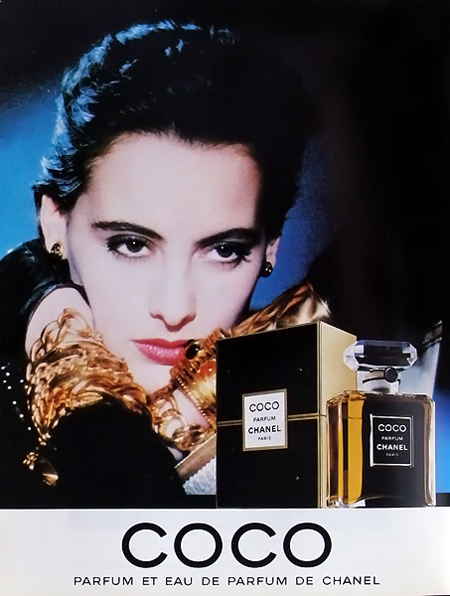 In Grade 6 art class, I drew a picture of Inès de La Fressange from a Chanel perfume advertisement. This was not normal behaviour for a young girl growing up in Deep Cove in the early 1980`s. I loved the creative escapism fashion offered me. Why did you choose to launch an online magazine, rather than a paper copy? I wanted to save trees and regard digital media as the future for all forms of journalism. At metrolivingzine.com, you work with a diverse team of talented individuals. You cover everything from beauty products to social issues! What is it like to collaborate with so many uniquely skilled workers? I love it. I love reading their articles and am constantly inspired by their points of view. Lara Bolton wrote an excellent article about how to be a better business person. The essence of the article was: if you put garbage into your brain and subsist on a diet of reality TV, your output will be garbage. The catch phrase of the article was “garbage in – garbage out”, and since I published it 4 months ago, that phrase has run through my head too many times to count. Ana Badila of Badila Beauty ran a fantastic beauty/fashion editorial series exploring The Seven Deadly Sins that made my heart stop. Mheyah Bailey is a Heart Centred Communications expert who just completed a seven-part series on how to become a better communicator. If you are even Remotely interested in purchasing Real Estate in Vancouver, you need to read ReMax Realtor Melissa Kubek’s home purchasing tips every Saturday. Stay tuned for exciting content coming from our celebrity interviewer, Shannon Little! Finally, it was a huge honour to celebrate the launch of Marilyn R. Wilson’s book, Life Outside the Box. This book made it to the Amazon Best Seller list! I’d also like to give a shout out to Leah Bolton (Goddess Astrology), Shannon Thompson , Edward Quan (Styledrama), Paul Fitzgerald (See It LIVE Canada), Rodrigo Morales, Eartha Hubbell, Kerry Gibson, Dr. Kumar Shivdasani (Cur Laser), Melissa Kozoma (www.deepsouldiving.com), Ha Na Hussainaly, The World Needs M a.k.a. Monica Morong, Savanna Franklyn, Karen Henry-Maurage, Jack Wass, and Kamantha Naidoo (The Health Babe). The roster of highly talented MLZ contributors is growing and it is an honour to work with every single one of them. I wanted to create an environment that would inspire me. I don’t want to ever retire.